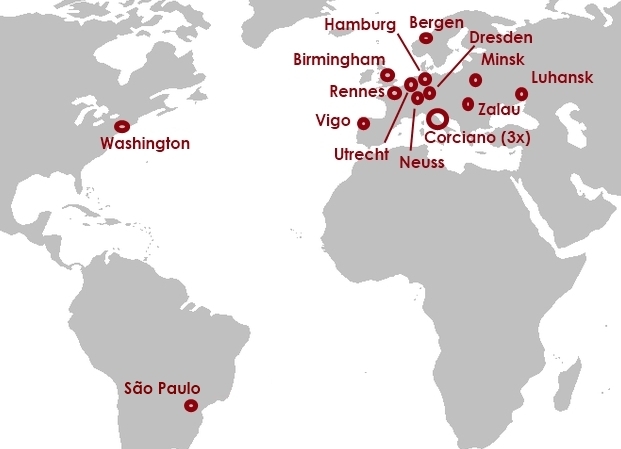 On this page we show where our BP17 attendees come from. 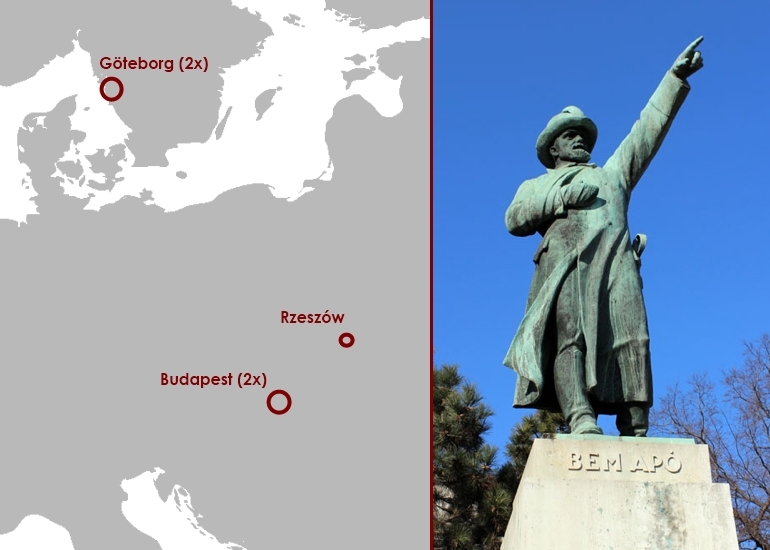 People’s home towns are shown in batches of five (most of the time), and for each batch, one is picked with a connection to a landmark in Budapest. In certain cases a larger city is shown close to the attendee’s home town. This is a collection of Facebook posts from BP17’s FB page in reverse chronological order (i.e. the latest is on top). 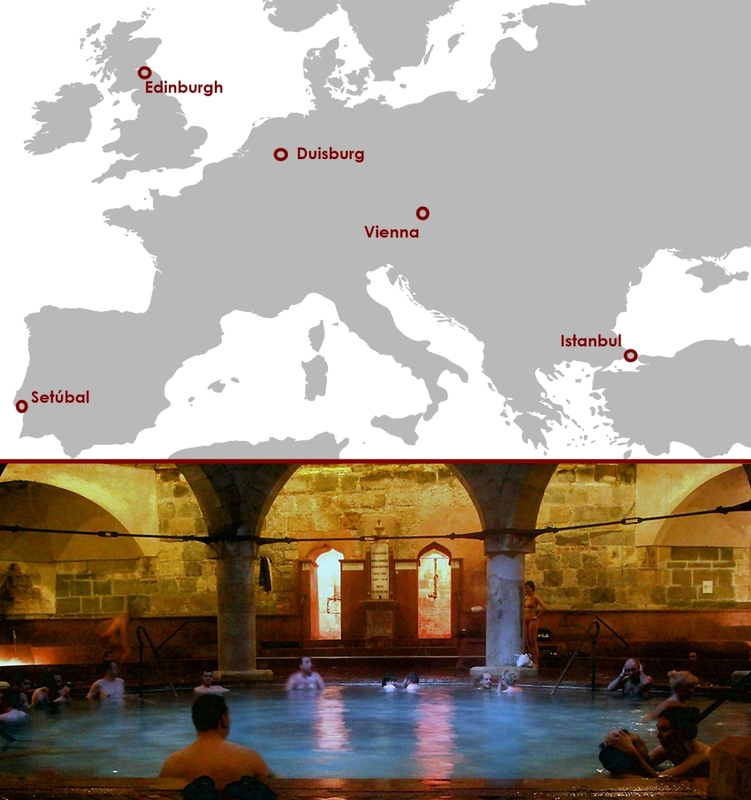 The Ottomans held Buda for well over a century, leaving behind some magnificent bath houses built in the 1550’s. Perhaps the most easily accessible one is Rudas (pronounced with an ‘sh’), pictured here. Completely renovated 10 years ago, it is now open for both sexes every day – also during the night on weekends. From the conference hotel take metro #2 to Astoria (3 stops), then take bus #7 (3 stops): The bus stops right at the entrance of Rudas. 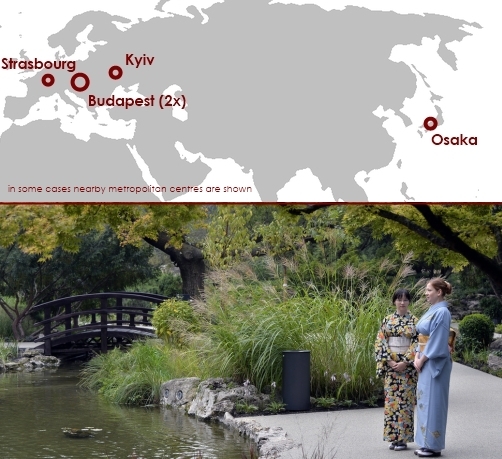 The photo shows a Japanese garden on Margaret island, a serene spot just 1 km south from where all the wild concerts of Sziget festival are held each August. The Japanese garden was created after 1882. 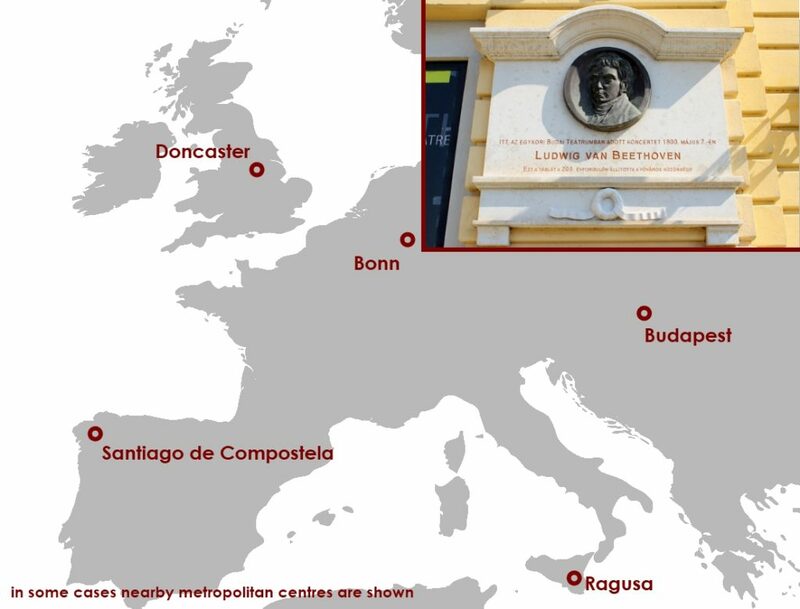 Bonn’s most famous son, Beethoven, spent much of his time in Vienna, and he travelled to Buda on a few occasions to visit the spas – but he gave concert only once, in 1800, in the Buda Castle. András Jelky was an unlikely adventurer in the 18th century. Born in a small town by the Danube, he became a tailor, just like his father. At the age of 16 he started wandering in Europe, via Prague and Nürnberg. After barely escaping a forced conscription of able-bodied young men, he ended up in the Netherlands where he soon found himself on a Batavia-bound ship (against his will). After a storm and a pirate attack, he criss-crossed the globe (via Suriname, Canton, Macao, Lisbon, Malta, etc. ), before ending up in Batavia (as Jakarta was then called). There he married a local girl, ran an orphanage, and worked as a secretary to the Dutch embassy there, leading to more travels (Japan, Ceylon). 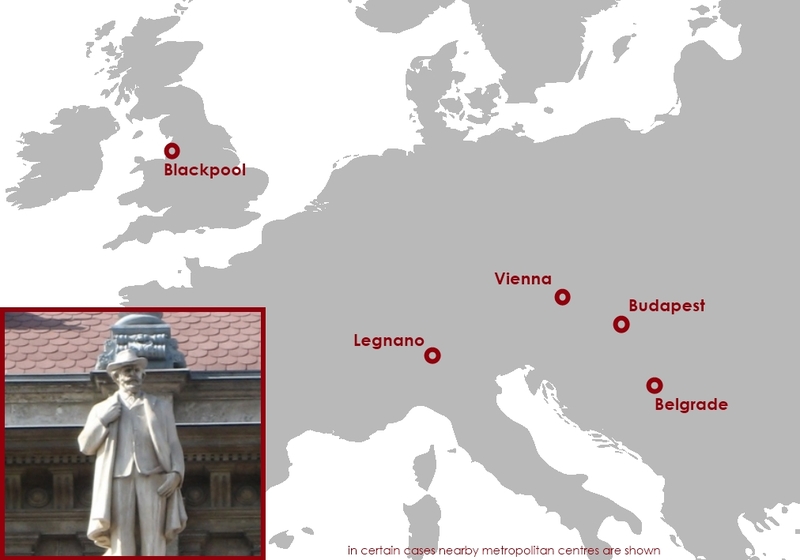 Later he travelled back to Europe, spent time in Amsterdam and Vienna (where he was introduced to Kaiserin Maria Theresia herself), before settling in Buda. Józef Bem was a Polish general, and a national hero in Hungary (and in Poland). Born and buried in Tarnów, not far from Rzeszów, at a time when Poland was partitioned, he dedicated his military career to the liberation of his country. After some twists and turns he ended up fighting for the Hungarian cause in 1849. When the war of independence was eventually crushed, he took refuge in Turkey, hoping for a Turco-Russian war. He died in Aleppo just a year later of malaria. The park around his statue in central Buda is a revered spot, always full of flowers and flags. Well, one colleague comes from a small town *near* Donaueschingen, but I picked this one because of the cultural connection. Budapest is often referred to as the ‘pearl of the Danube’, lying roughly halfway between the mighty river’s source in Donaueschingen and its estuary. 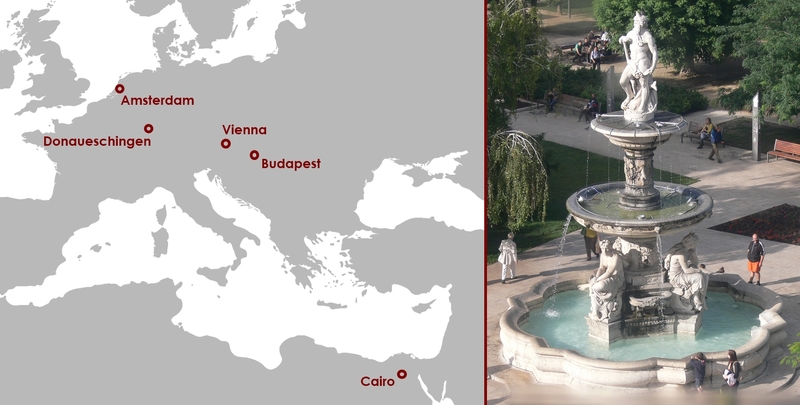 The ‘Danubius’ fountain was constructed in 1883 (a year before the Opera House and Keleti railway station). The main figure on top represents Danube itself, while the three figures below represent three tributaries. The latest crop includes BP ‘alumni’, plus a new attendee from perhaps the most famous small town in Europe: Schengen. This means we reached 100 attendees in just 11 days! (Last year it took us 22 days to reach 100.). 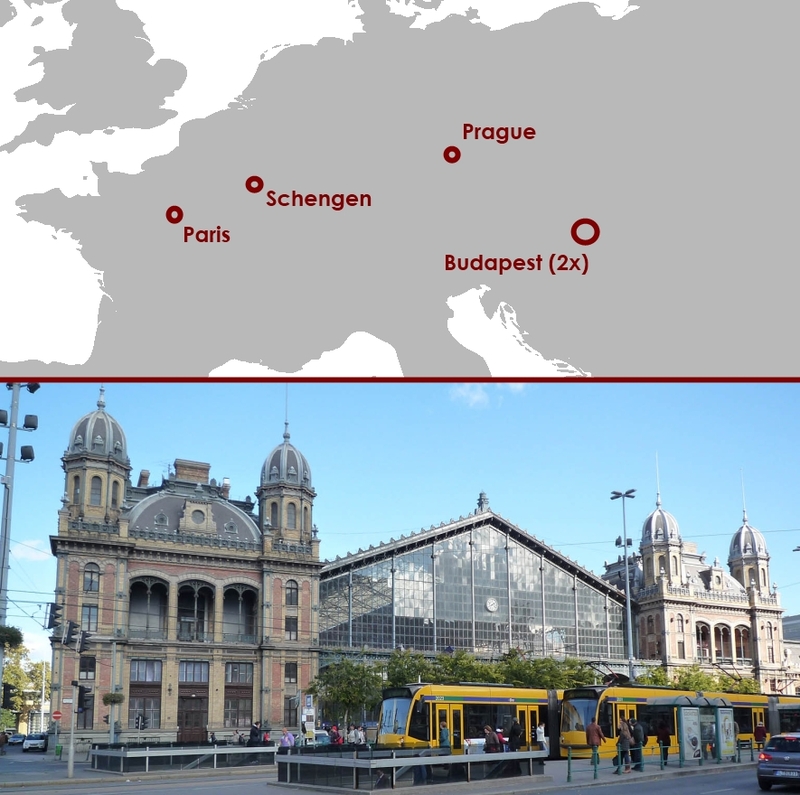 Nyugati (‘Western’) railway station in Budapest was partly designed by Gustave Eiffel’s company, and was constructed 12 years before the famous landmark in Paris bearing his name. Gyula Horn was minister of foreign affairs in 1989 when this photo made rounds in the world press. Hungary was the first one in the Eastern Bloc to dismantle the iron curtain. What the photo doesn’t show is that ordinary Hungarians were free to travel to Western Europe since January 1988, andmost of the physical barrier between Austria and Hungary had been torn down a few months before this photo was taken in June 1989. Mr Horn had studied in the Soviet Union, in Rostov-na-Donu, then started his career as a cadre in the communist party – for this reason his figure has always been controversial in Hungary. Outside Hungary, especially in Germany, he’s still considered a hero, as his liberal approach in 1989 contributed to the demise of East Germany, and eventually led to re-unification. In the mid-1990’s he served as prime minister. Legnano made its name in 1176 when a decisive battle took place nearby. Giuseppe Verdi composed the opera ‘La battaglia di Legnano’, first performed in Milano in 1849. The photo shows the Vienna gate (‘Bécsi kapu’), at the northern end of the Buda Castle. 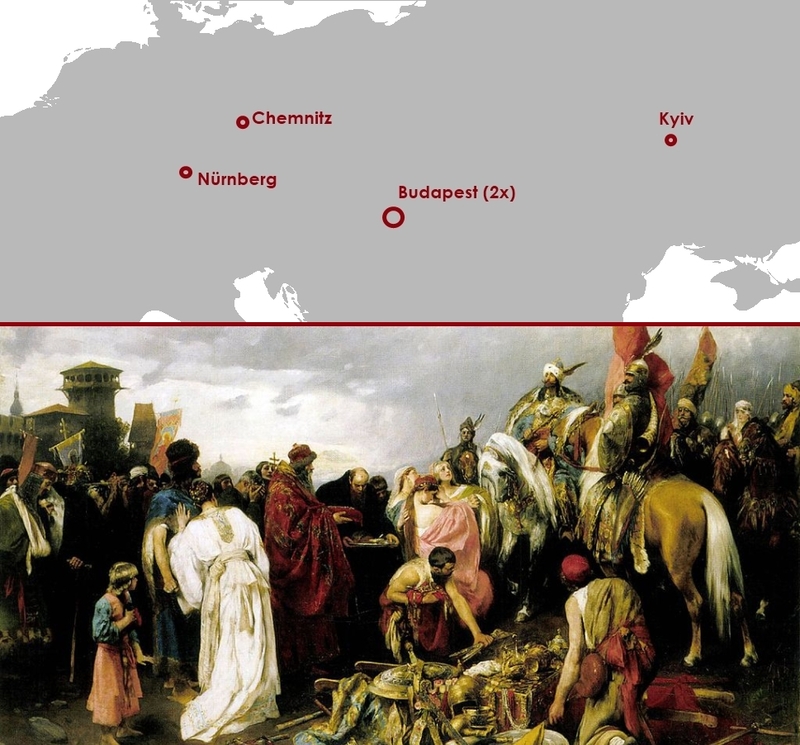 Until about a hundred years ago the main road to Vienna started north, and ran along the Danube. In colloquial Hungarian comparing something to the Vienna gate means it’s unusually large or wide, especially when referring to how wide a toddler can open his mouth when feeding him with a spoon. The photo shows ‘Arizona’ cabaret, the poshest bar in Budapest in the 1930’s. The cinema behind it provides a hint on the year. ‘Another Dawn’ starring Errol Flynn came out in 1937. Nuremberg is now represented by three people. The city’s famous son, Albrecht Dürer was the son of an immigrant from Hungary. A.D. the elder hails from a village called Ajtós, which translates into German as ‘Türer’ (‘door maker’), or, in the local voiced dialect, Dürer. 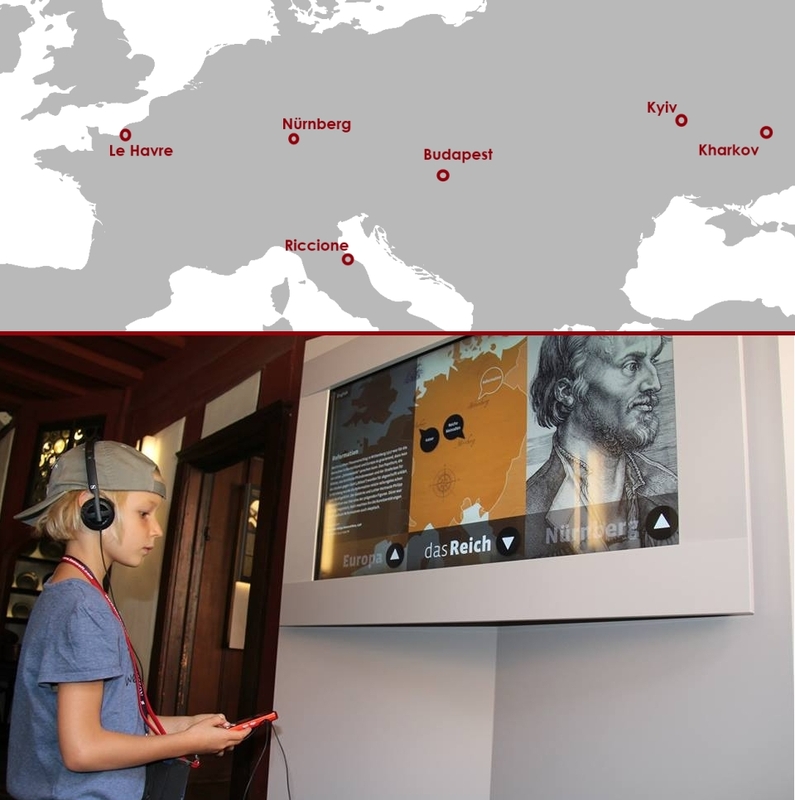 Pictured is the conference organizer’s daughter in Albrecht Dürer’s house in the summer of 2014. 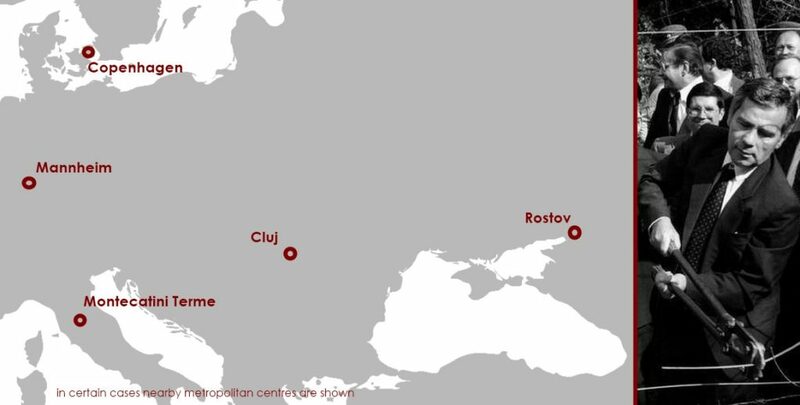 The last five people registered from Budapest (2x), Donetsk, and Berlin (2x). 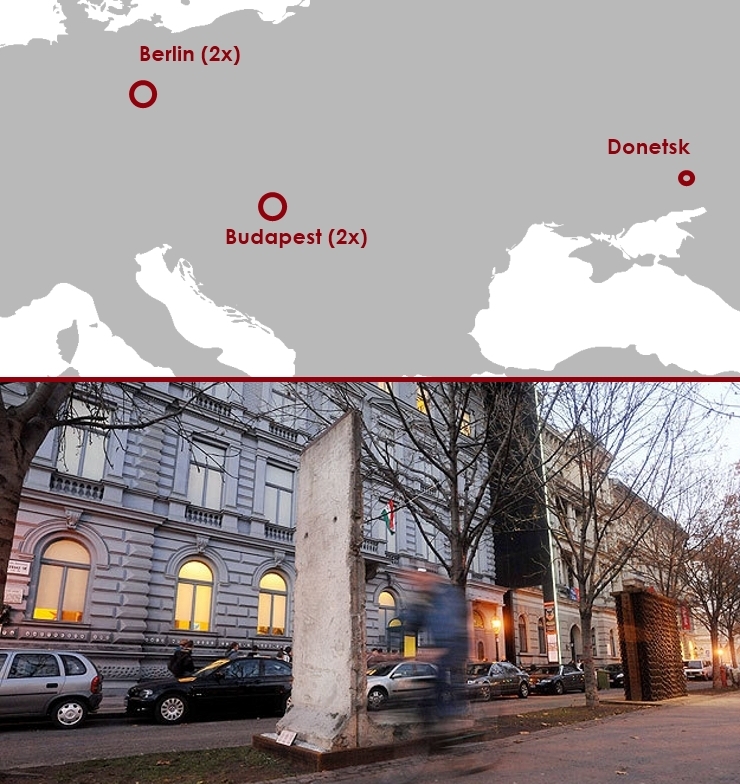 There’s a slab of the Berlin wall on Andrássy út in Budapest. 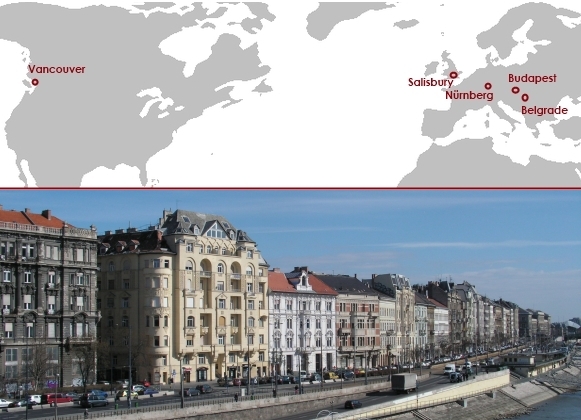 And here’s the next five: 2 from Budapest, and 1 each from Nürnberg, Chemnitz (well, near Chemnitz), and Kyiv. This little known historicist painting from 1882 by Pál Vágó captures the moment when the wandering Magyars appeared in the Kievan Rus on their westward journey (i.e. around 894). 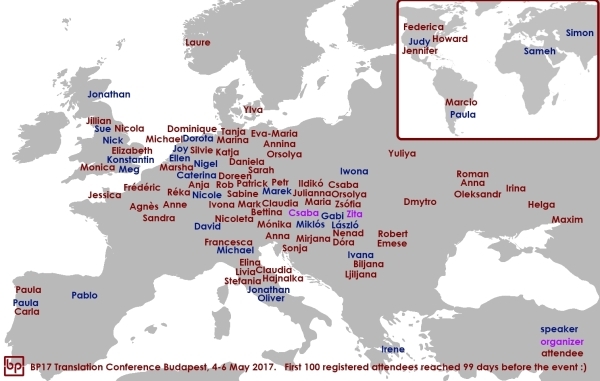 The last 5 people registered from Budapest, Belgrade, Vancouver, Salisbury, and Nuremberg. The photo shows Belgrád rakpart, or ‘Belgrade embankment’ in central Pest, opposite Gellért Hill. 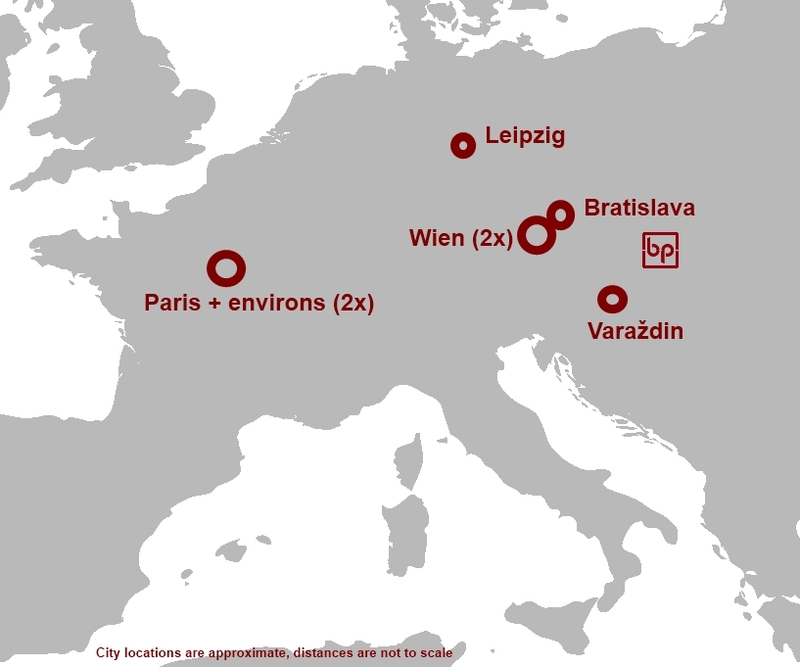 From now on I’ll publish a map of the 5 latest registrants’ cities, ideally with a little story that relates to Budapest. András Hadik made his name in 1740 when he captured Berlin for a few weeks in the 7-years war, a move that earned him the title field marshal from Maria Theresa (who was the very reason why the war broke out between the Habsburgs and the Prussians). His statue is in the Buda Castle. This is where all our speakers come from. BP17. One world. Many perspectives. With the last 7 registrants now 23 countries are represented (including the speakers). The first 16 people registered from 12 countries.